Egypt will replace Cameroon as the host of this year's African Cup of Nations soccer tournament, giving newly-crowned continental player of the year Mohamed Salah a chance to shine on his home stage. The Liverpool forward won the African player of the year award for a second successive year, making Tuesday a double victory for Egypt. Both decisions were made in Dakar, Senegal. Egypt was trusted with the Cup of Nations in a vote of the Confederation of African Football's executive committee at a morning meeting. Later, at an evening ceremony, Africa's national team coaches voted Salah Africa's best once again ahead of Liverpool teammate Sadio Mane of Senegal. 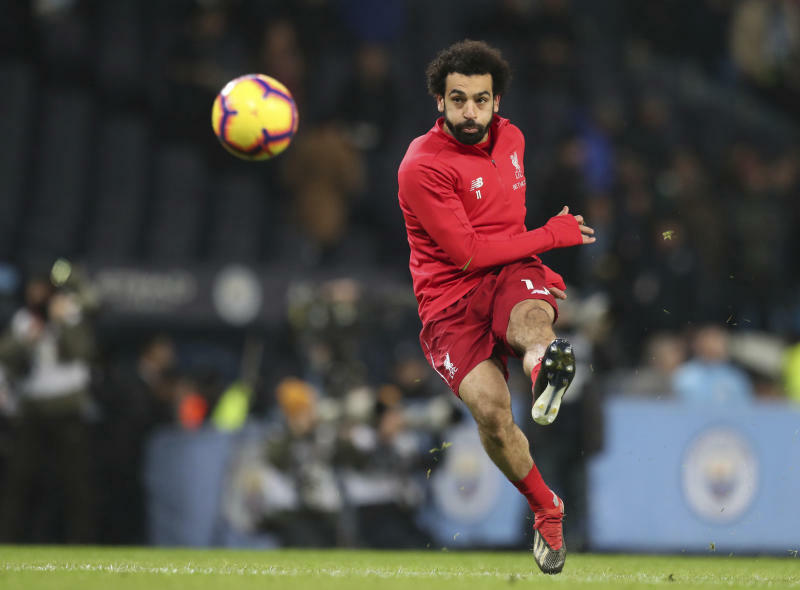 Salah will undoubtedly be the face of Egypt's African Cup in June and July, but Egypt's organizers face a tough task to get ready with kickoff only five months away. Deepening the challenge for the stand-in host country, this will be the first African championship to be increased from 16 to 24 teams. The tournament also arrives in Egypt at a time of political unease after years of turmoil following a revolution and the overthrow of President Hosni Mubarak in 2011. Egypt's streets have been marred by deadly violence in the years since and it has sometimes spilled over onto the soccer field. In 2012, more than 70 fans were killed in a riot at a game in the northern city of Port Said, one of world soccer's worst riots. Port Said has been put forward by Egyptian organizers as a venue. Still, African soccer leaders decided that Egypt was the best choice, with doubts over whether the competing bid from South Africa, the 2010 World Cup host, had any government approval or financial backing. Also, CAF is based in Cairo, giving the Egyptian bid a logistical advantage. Egypt and South Africa were the only two countries to submit bids to replace Cameroon in a new, rushed hosting process for 2019. Egypt, which last hosted the African championship in 2006, was chosen in a vote of the CAF executive committee initially scheduled for Wednesday but brought forward 24 hours. 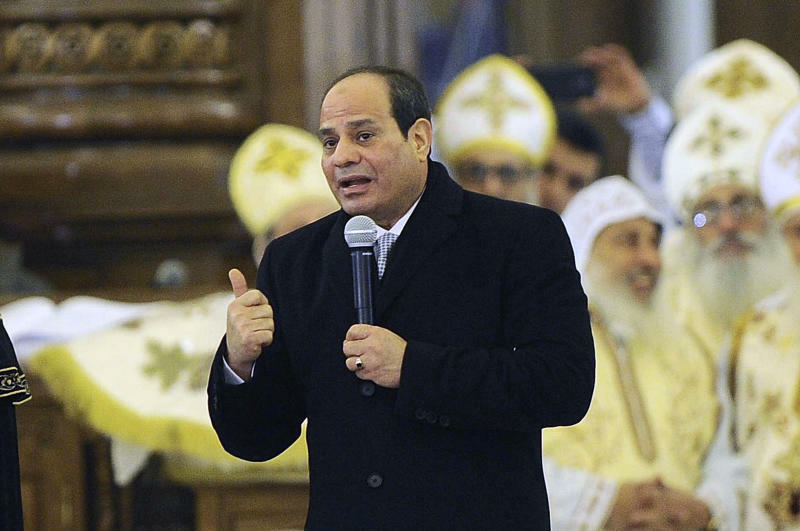 Egypt won overwhelmingly, by 16 votes to one with one abstention. Egypt has hosted the African Cup four times and won three of those tournaments, making Salah's team an early favorite to win this year. But it's unclear how the tournament will be greeted in Egypt. "The political leadership offered its full support to host the AFCON (African Cup of Nations)," sports minister Ashraf Sobhi said on Tuesday in a statement. The Egyptian soccer federation said on Twitter in a message hailing the decision that Egypt was "a safe country."